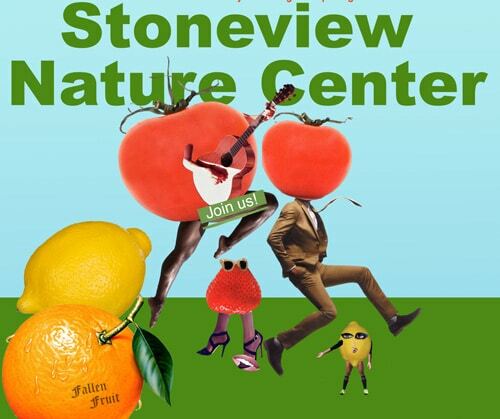 Fallen Fruit planted the ‘Stocker Fruit Park’ at the trailhead for the Park to Play trail. The park opened to the public in 2016. We gave away 120 beautiful fruit trees that new owners agreed to plant on next to sidewalks to share with their neighbors and planted 5 Public Fruit Trees in Rueben Ingold Park for EVERYONE! with Office of Mark Ridley-Thomas, Supervisor Second District and MRCA and LA County Parks. To support the project, donate HERE. 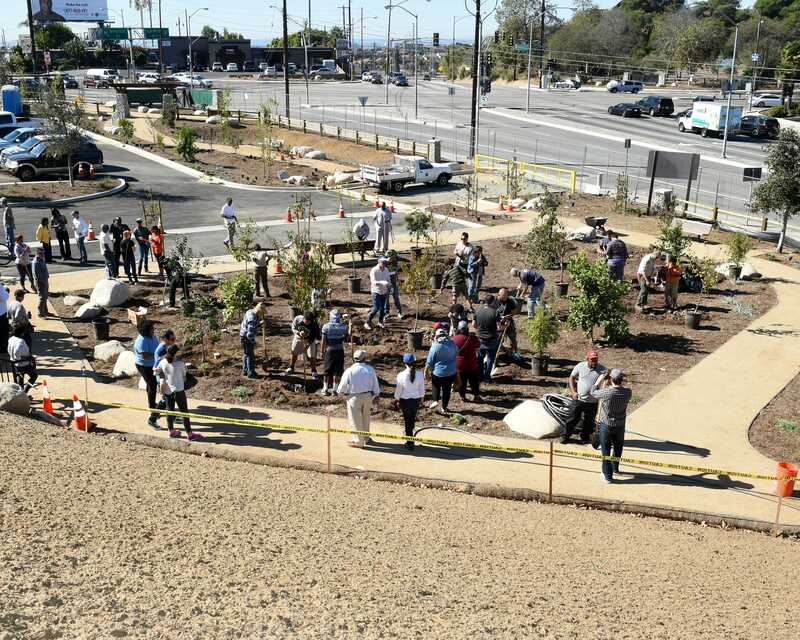 The Stocker Trail will see a transformation when the southeast corner of 5-points becomes a parking lot and public fruit orchard to serve Angelenos at the trail head to the Park to Playa Stocker Trail. 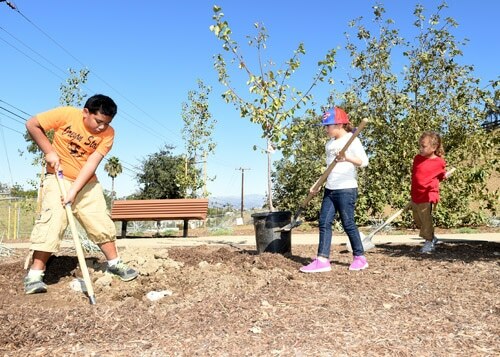 Fallen Fruit is creating a Public Fruit Orchard with a variety of fruit trees. 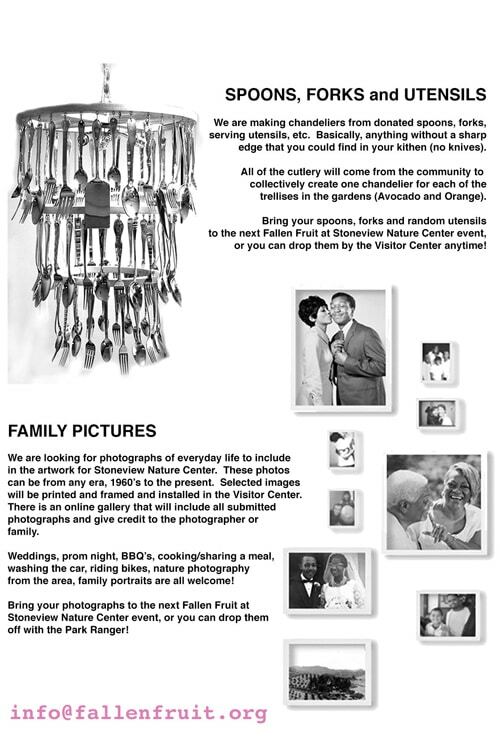 The County of Los Angeles is working with Fallen Fruit to host several Fallen Fruit public art engagements leading up to the grand opening of the parking lot and orchard in 2015. Public Fruit Jam! at Kenneth Hahn State Recreation Area! September 14, 2014 at Kenneth Hahn State Recreation Area! Come make jam with us! 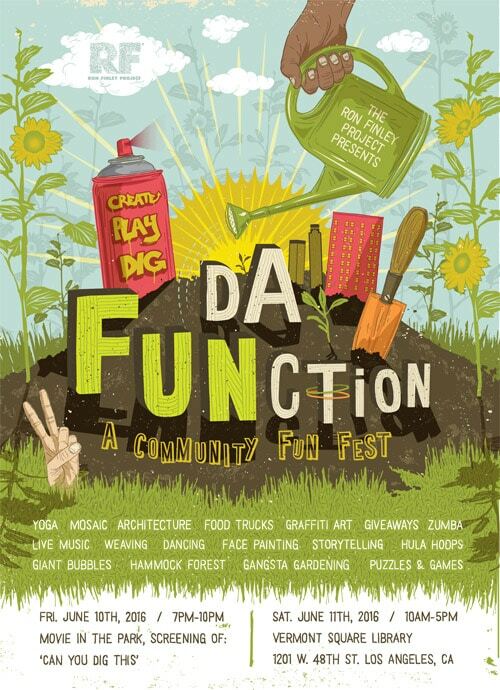 and Learn about the Park To Playa and Public Fruit orchard. Find us near the upper parking lot. Sunday August 24th at Kenneth Hahn Recreation Park! Lemonade Stand by Fallen Fruit : In exchange for drawing your self portrait on a lemon, we will give you a cold glass of lemonade. Join us! 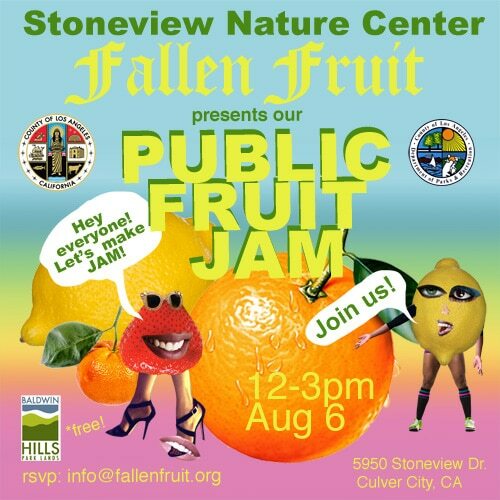 Join members of Los Angeles-based art collaborative Fallen Fruit for Lemonade Stand in Rueben Ingold Park. In exchange for a cold glass of lemonade, participants will be asked to create self-portraits using black ink markers on lemons and to share stories of sadness and disappointment, or happiness and positive self-reflection. This will be a part of an ongoing site specific project with Supervisor Mark Ridley-Thomas and the Park to Playa trail, including the upcoming Stockard Public Fruit Orchard. here are some images from our last Lemonade Stand at Weatherspoon Art Museum. Janet Owen Driggs reports on “The Del Aire Fruit Park,” the first public fruit park in the state.